What does Google have the Bump team working on now? Google is shutting down the Bump application, it purchased back in September, the company's co-founder announced on New Year's Day. The app, which allows users to exchange files by tapping their phones together, was a big hit on the Samsung Galaxy S3 smartphone, but Google now has the Bump team working on other projects. As a result, Bump and the Flock photo-aggregating app also developed by the company, will be been pulled from the Apple App Store and the Google Play store on January 31. After that date, the app will no longer work and all user data will be deleted. Users wishing to export their data have until the end of the month to do so. David Lieb, the app's co-founder, said the Bump team are also 'deeply involved' with other projects at Google, as if there were any doubt the purchase was a straight-up acqui-hire. He wrote in a statement: "Back in September, we announced that the Bump team was joining Google to continue our work of helping people share and interact with one another using mobile devices. "We are now deeply focused on our new projects within Google, and we've decided to discontinue Bump and Flock. On January 31, 2014, Bump and Flock will be removed from the App Store and Google Play. After this date, neither app will work, and all user data will be deleted." 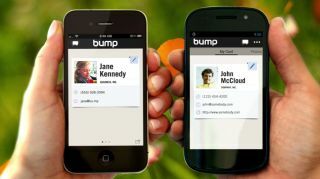 Bump users will be emailed with instructions for safeguarding their data before the shutdown happens. Will the soon-to-be departed Flock app eventually prove more useful for Google?